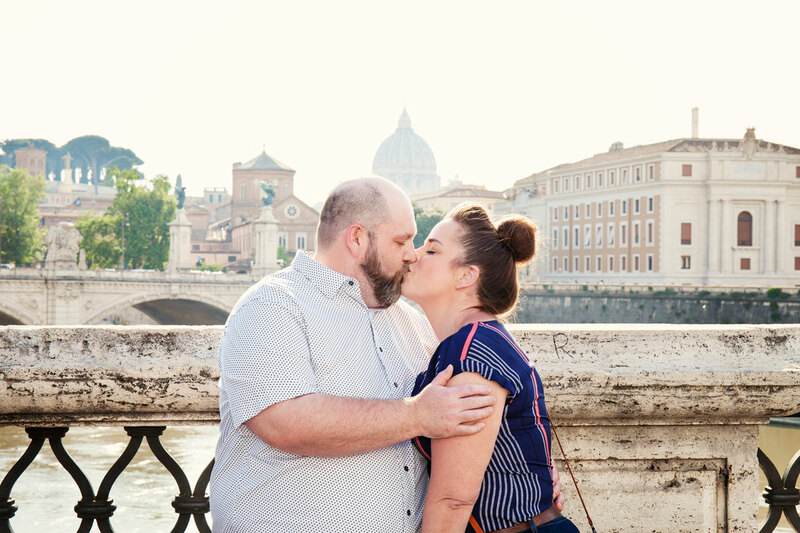 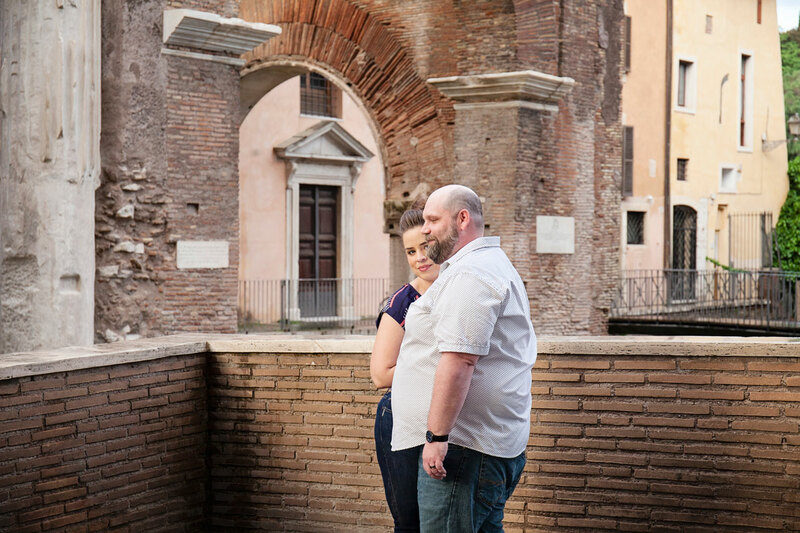 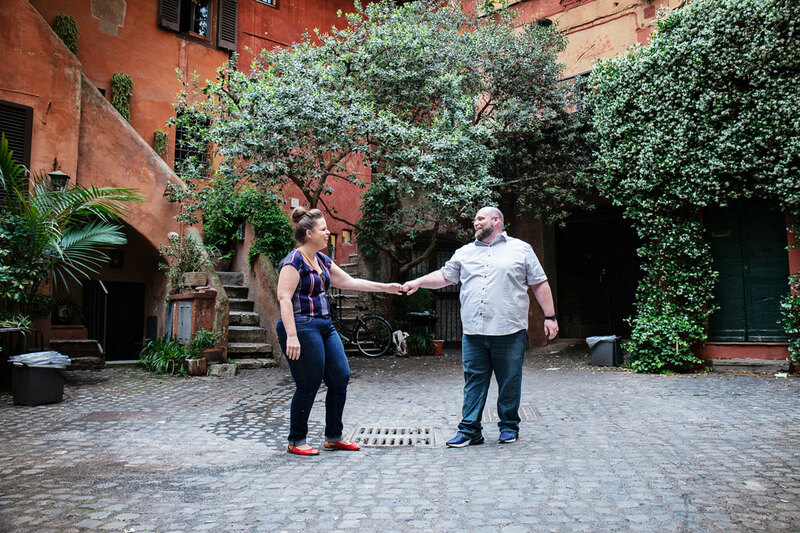 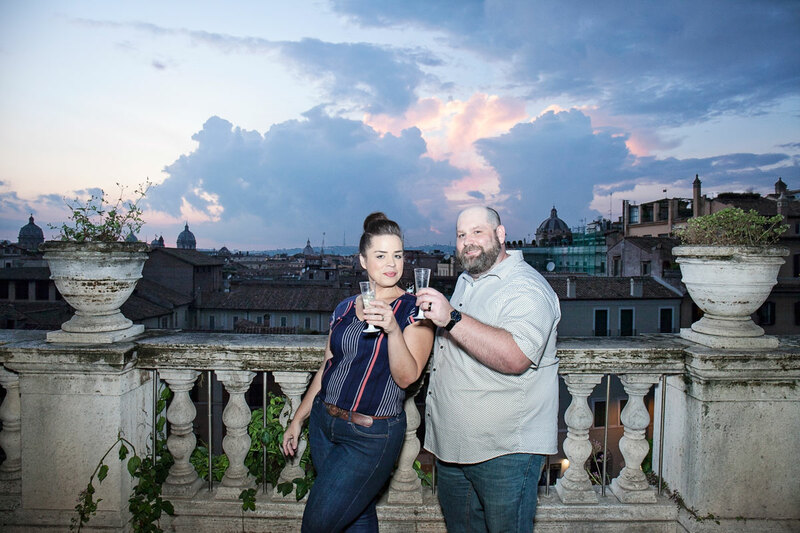 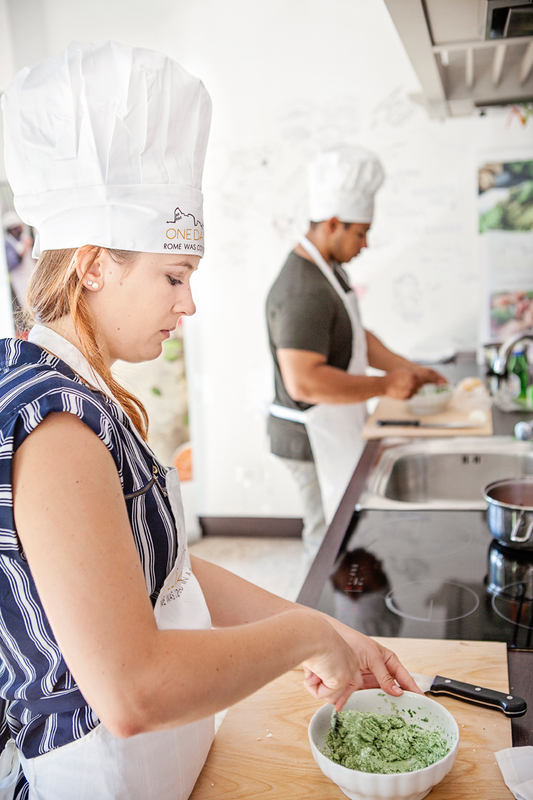 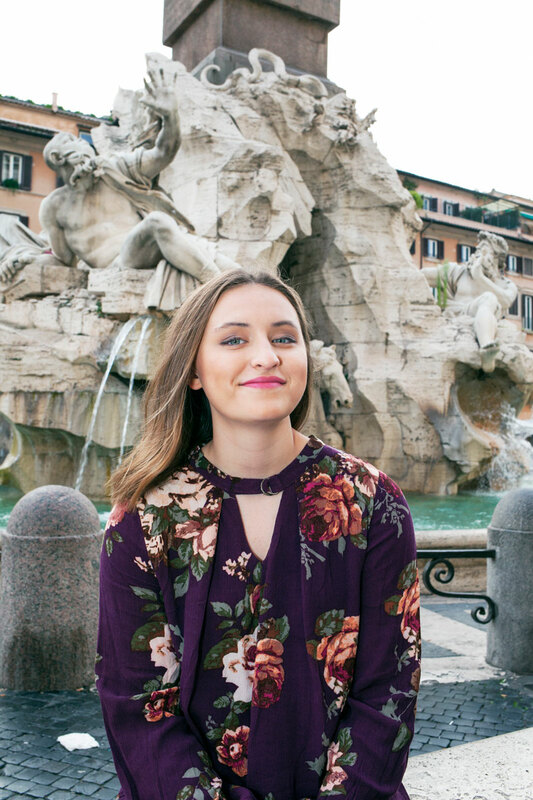 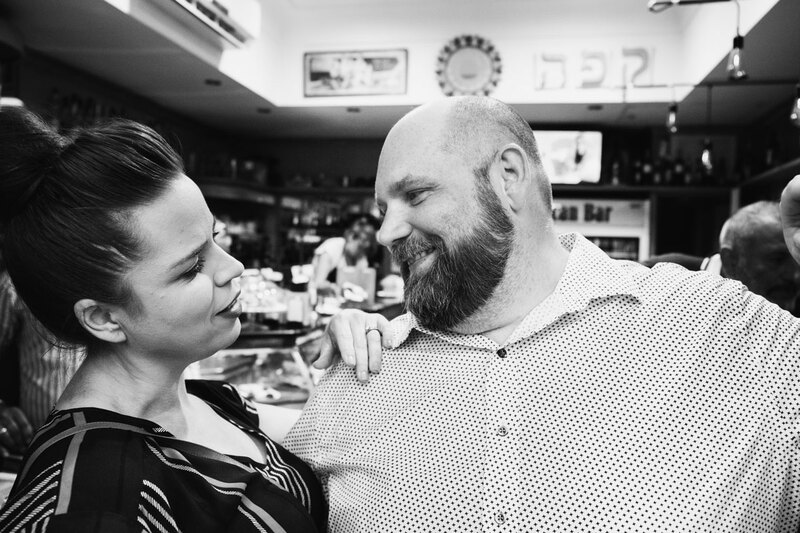 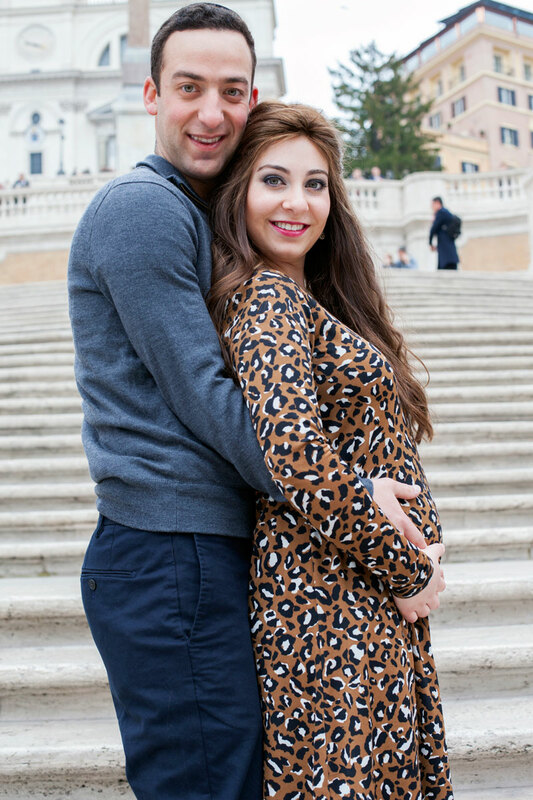 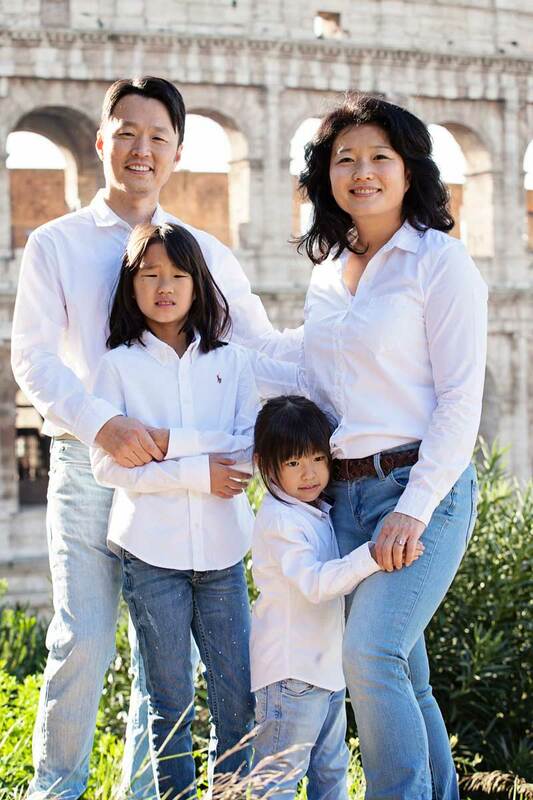 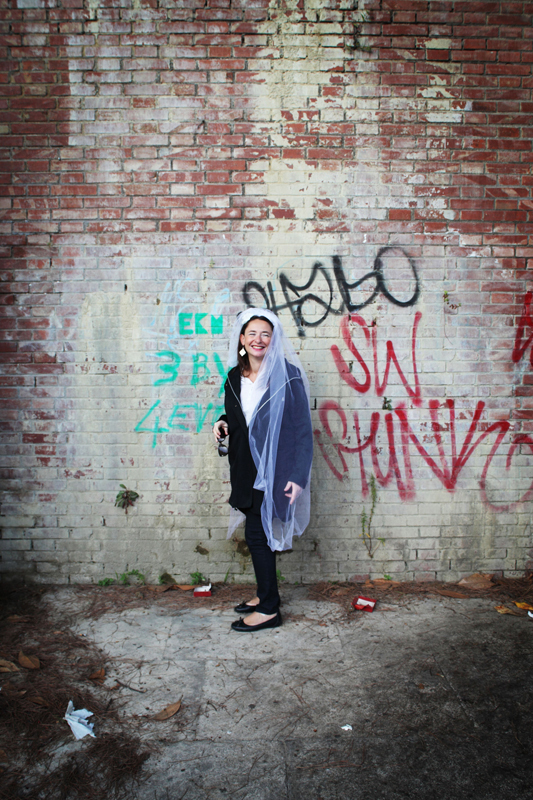 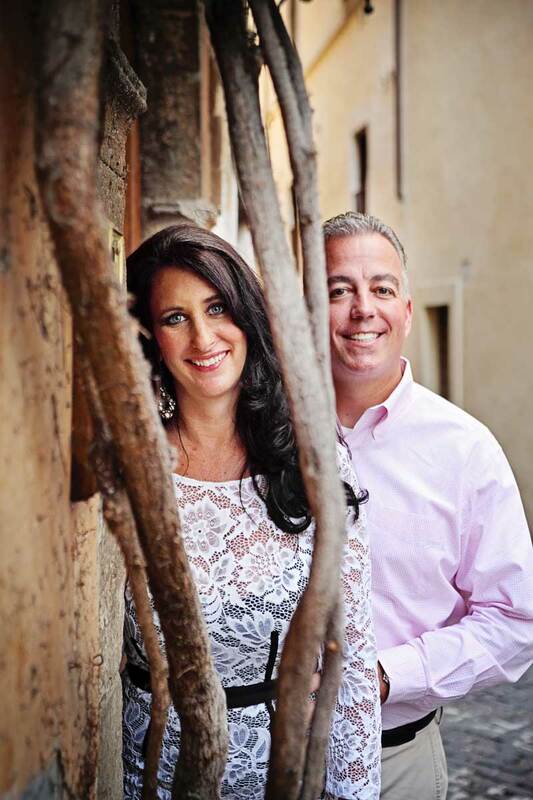 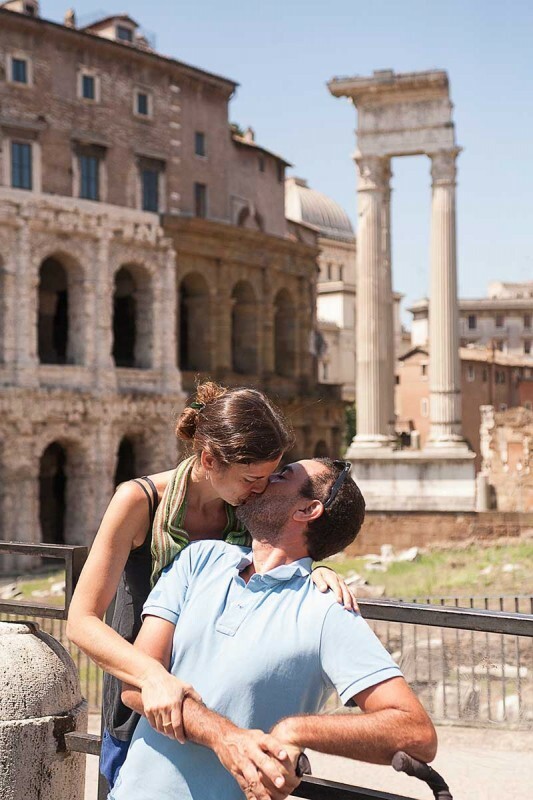 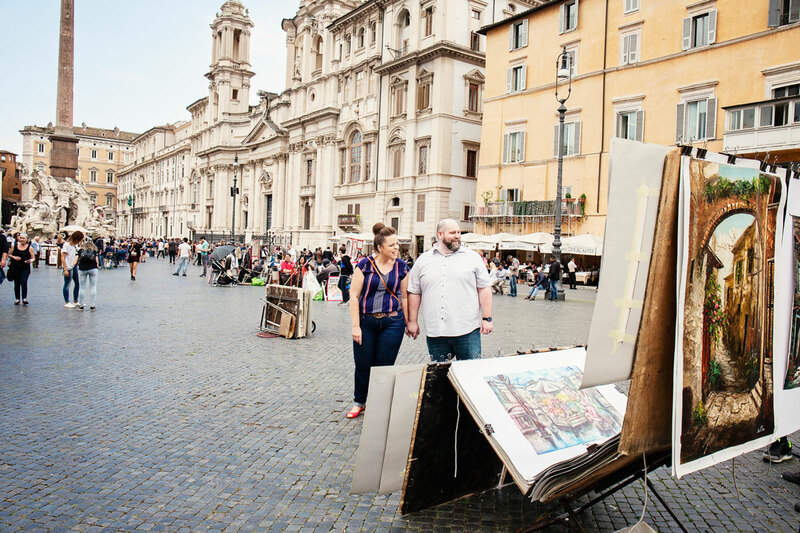 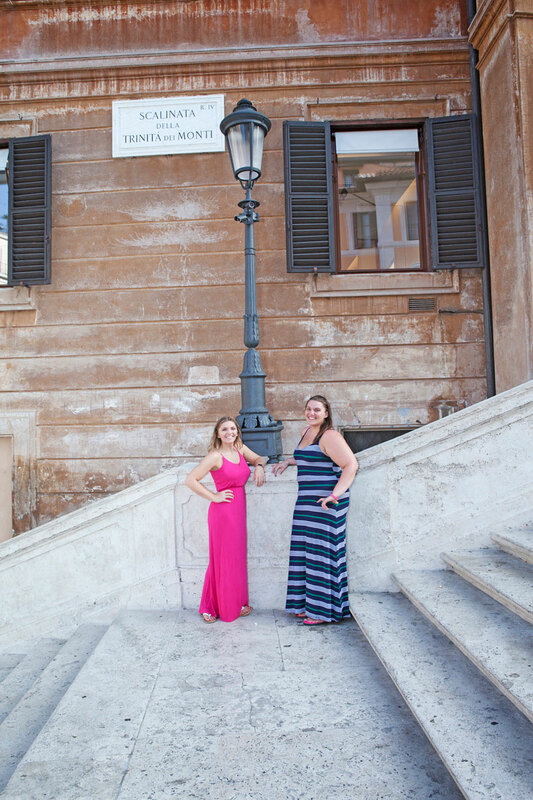 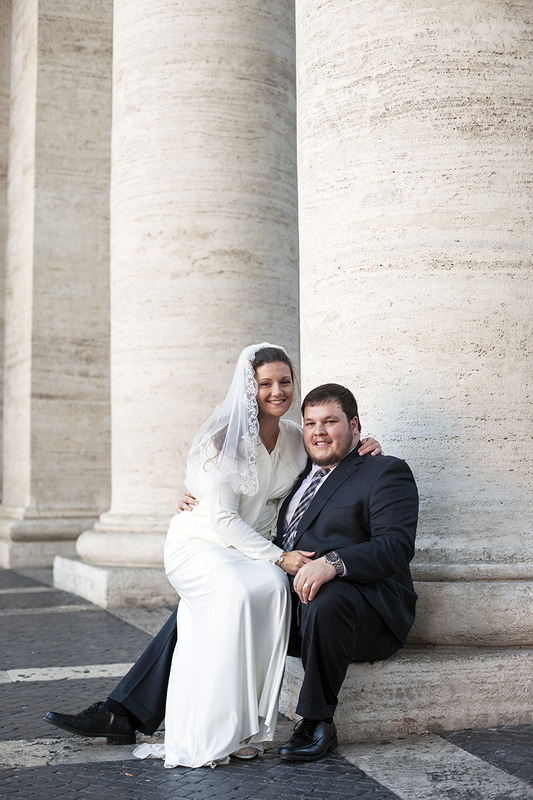 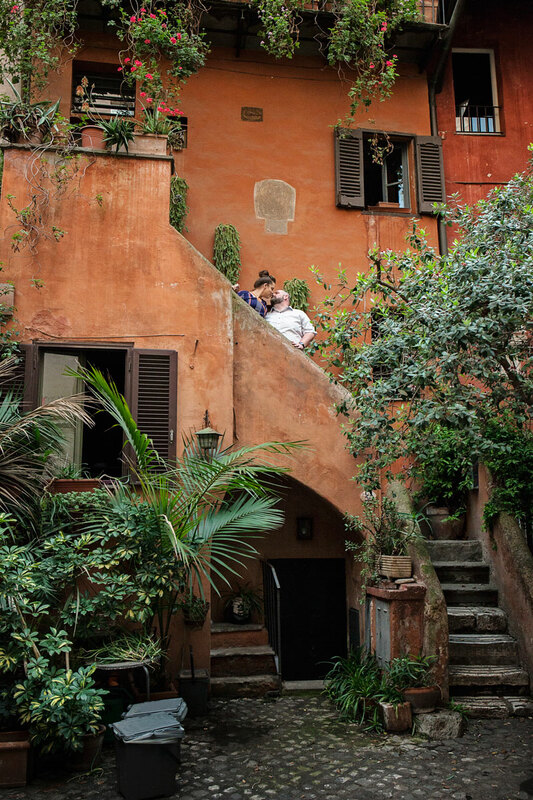 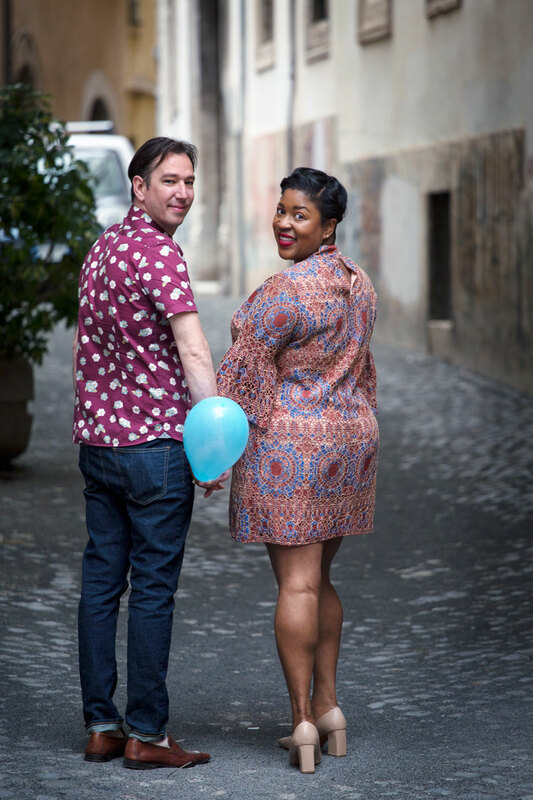 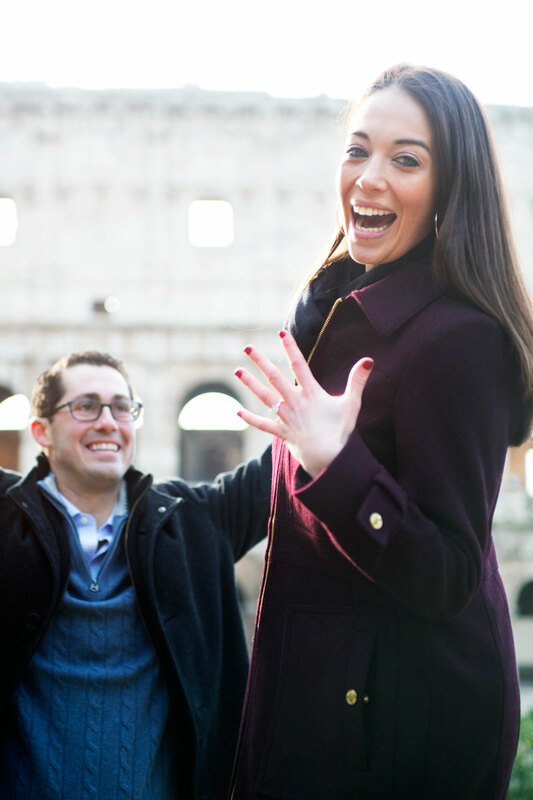 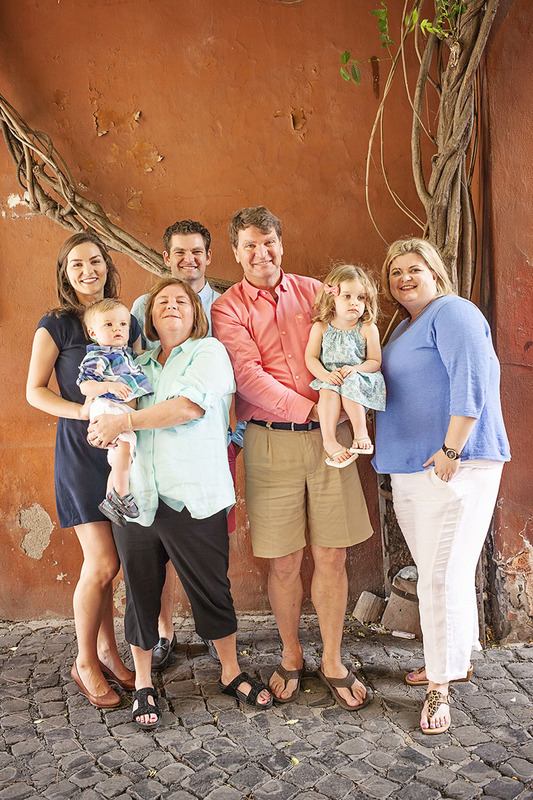 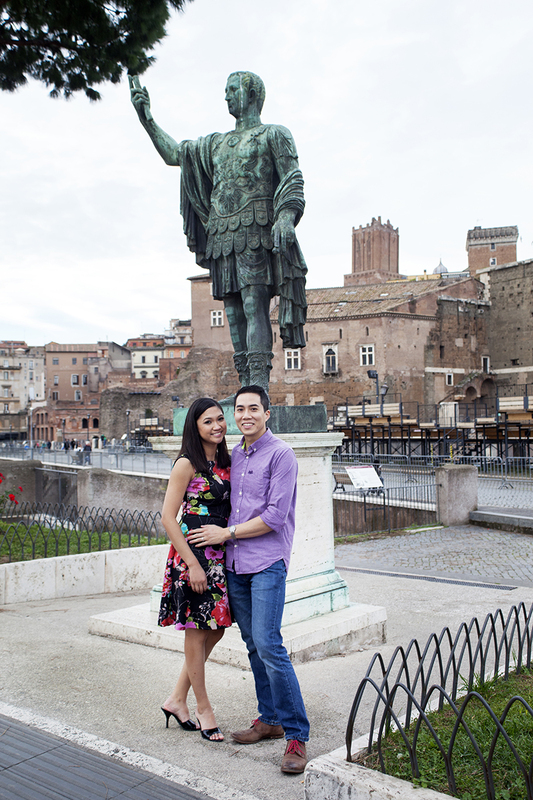 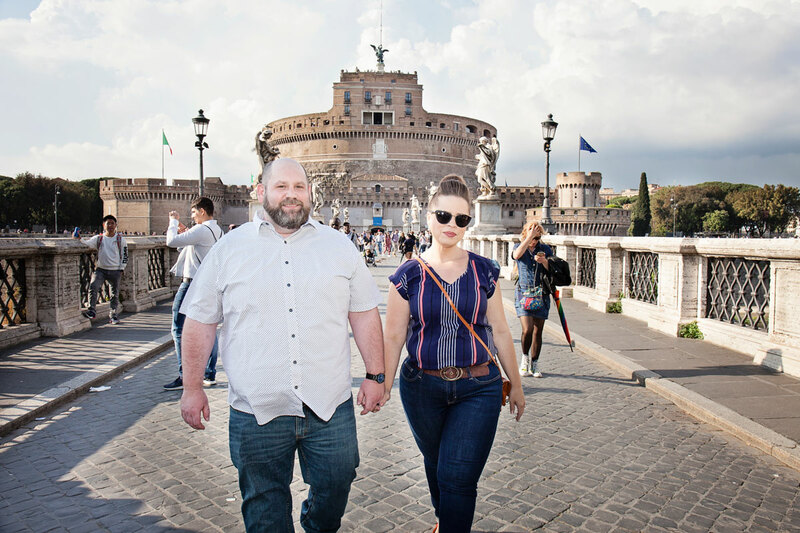 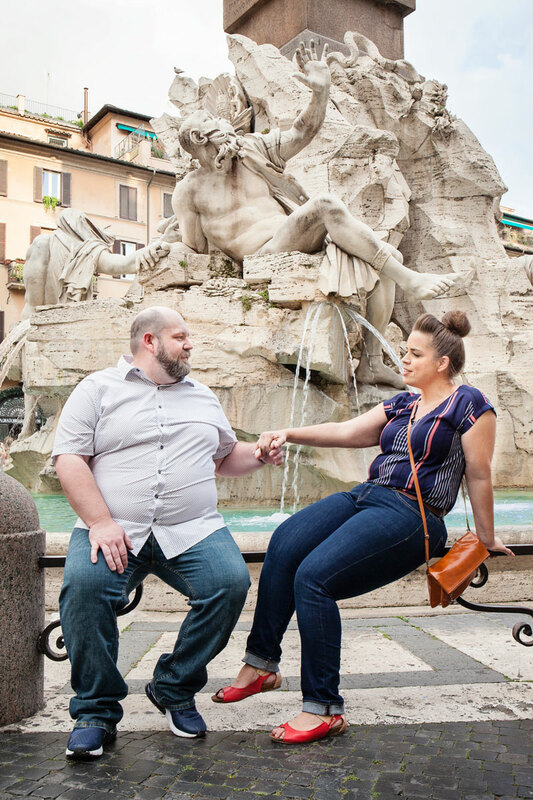 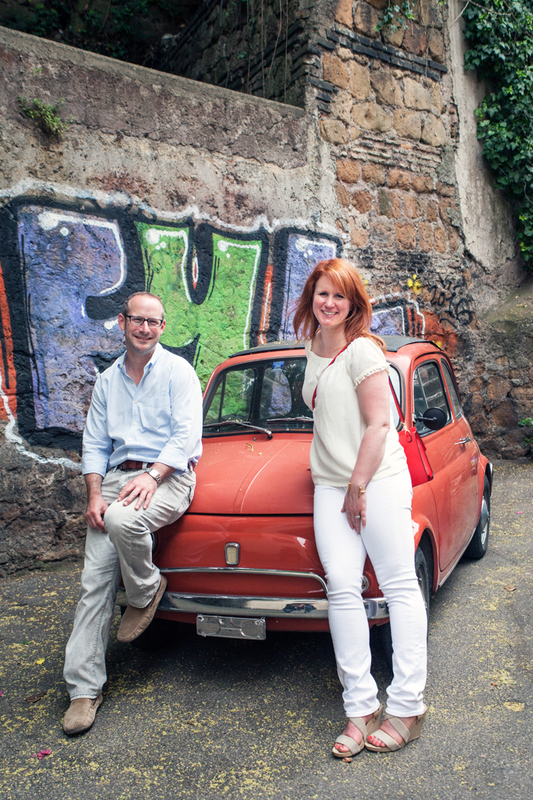 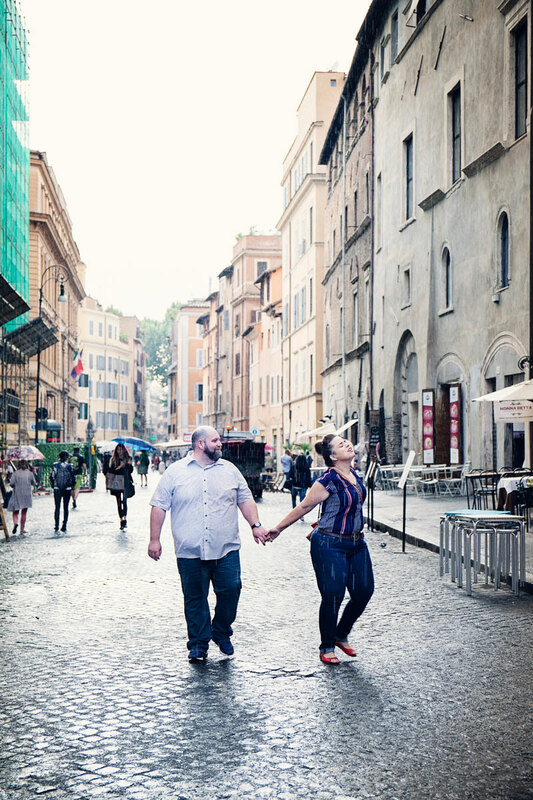 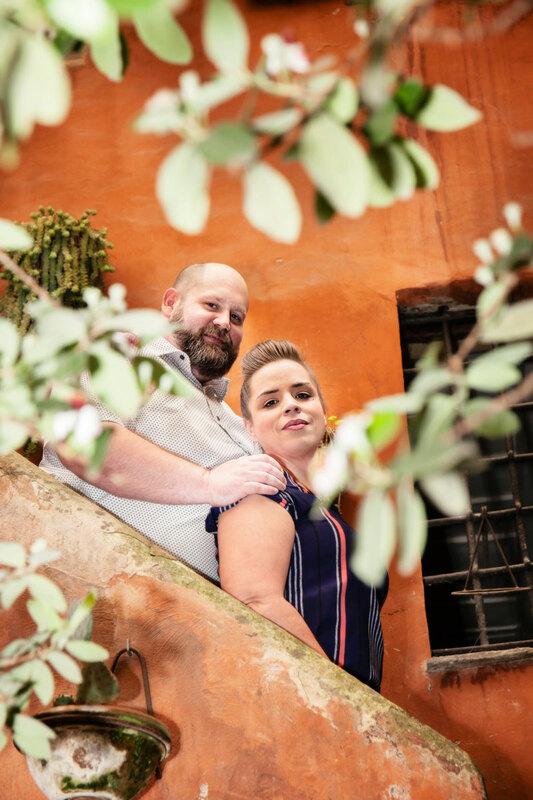 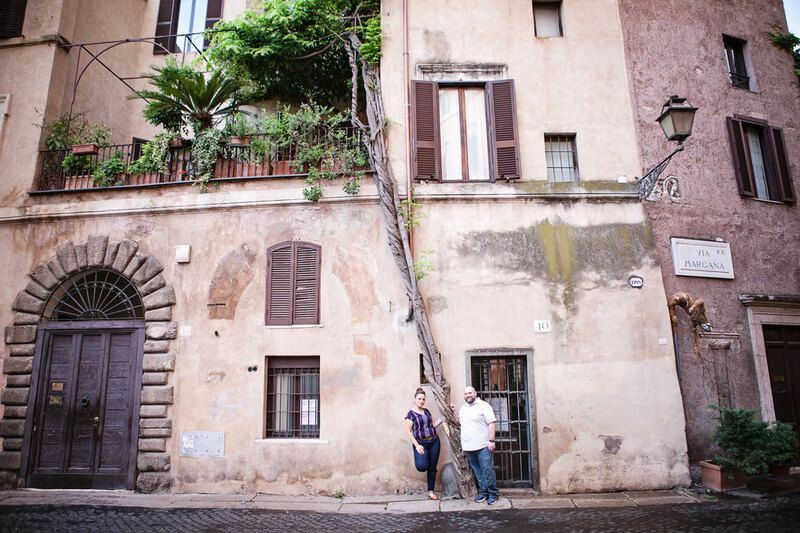 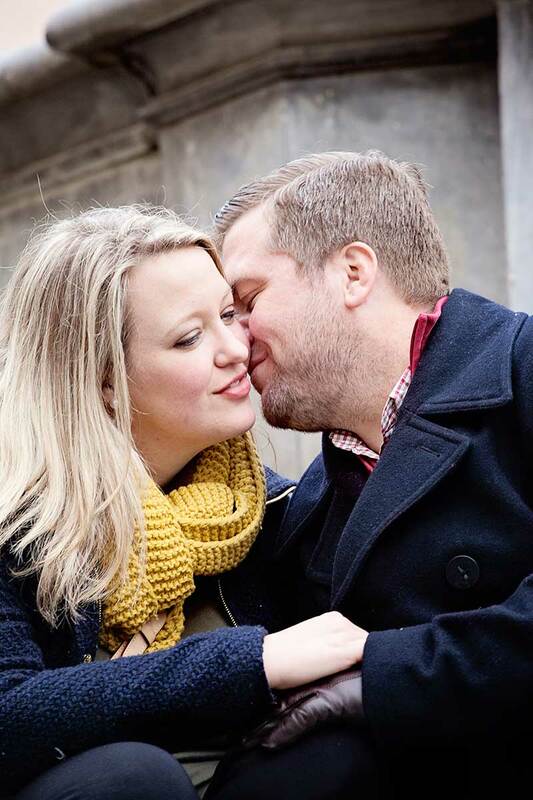 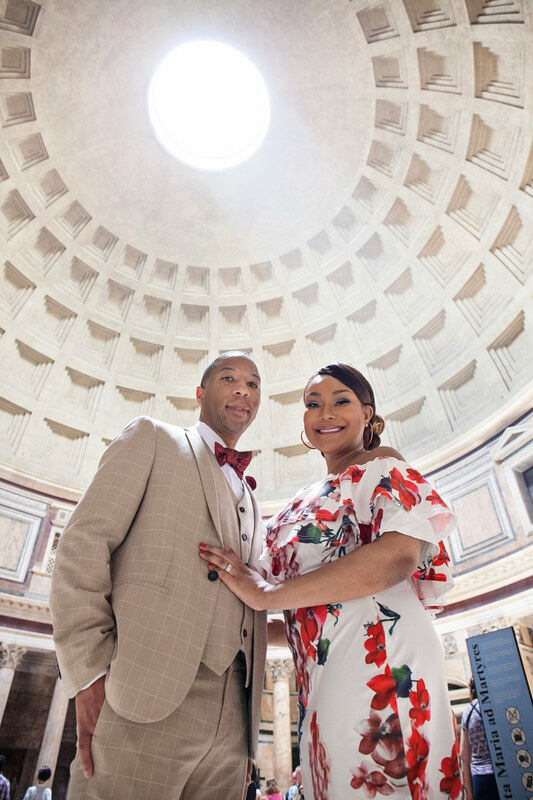 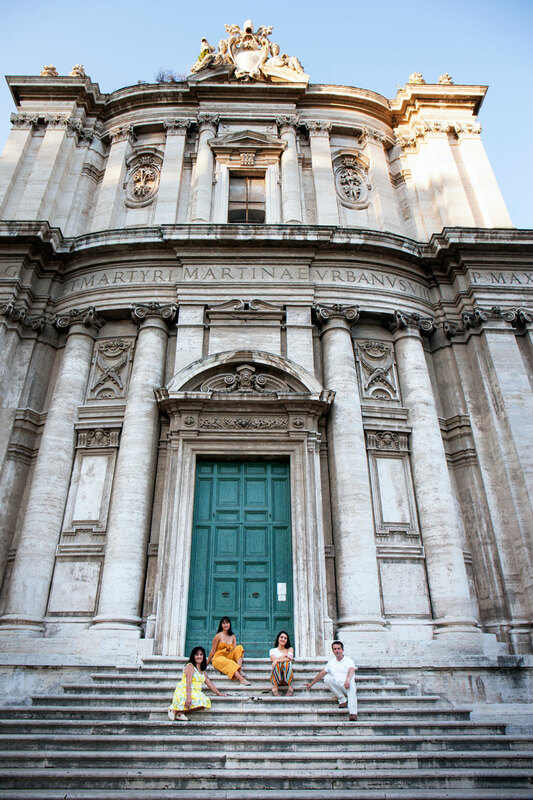 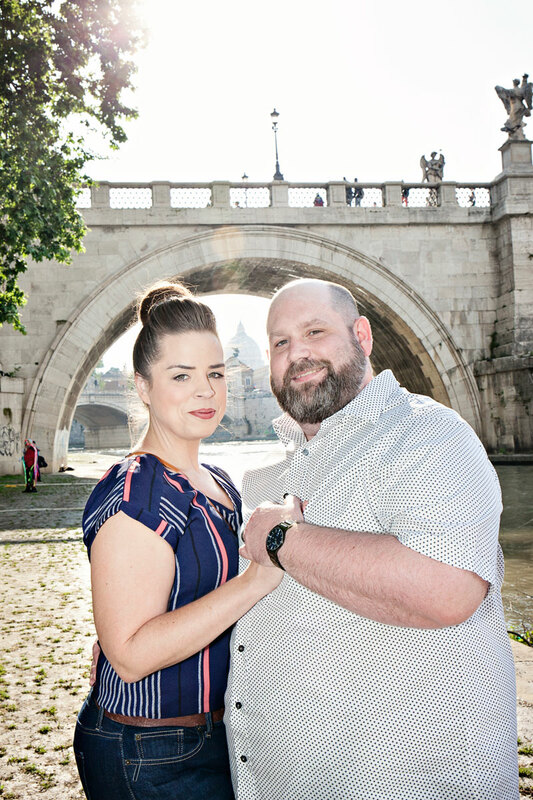 Alicia and Joshua contacted us when they were still fiancèes and met us when they were already married, for their Honeymoon in Rome, the city of romance! 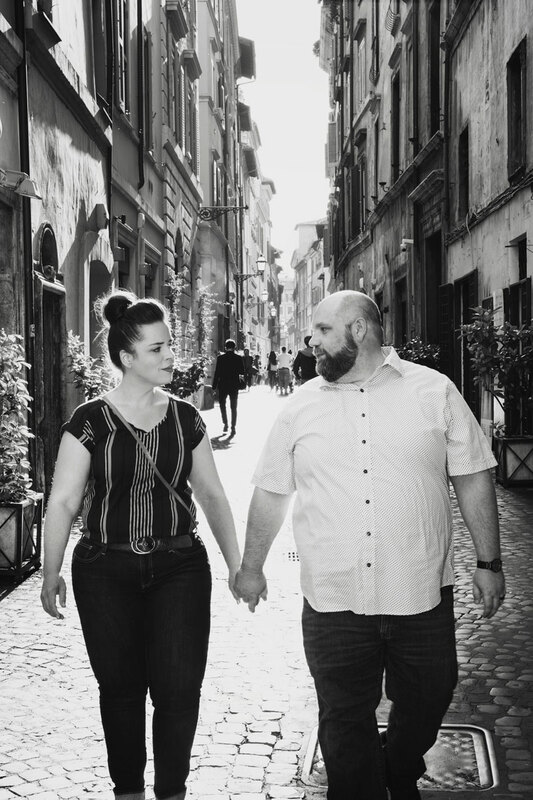 We walked with them for almost 3 hours and covered so many beautiful corners of the city, in the sun, in the rain, at sunset and also at night. 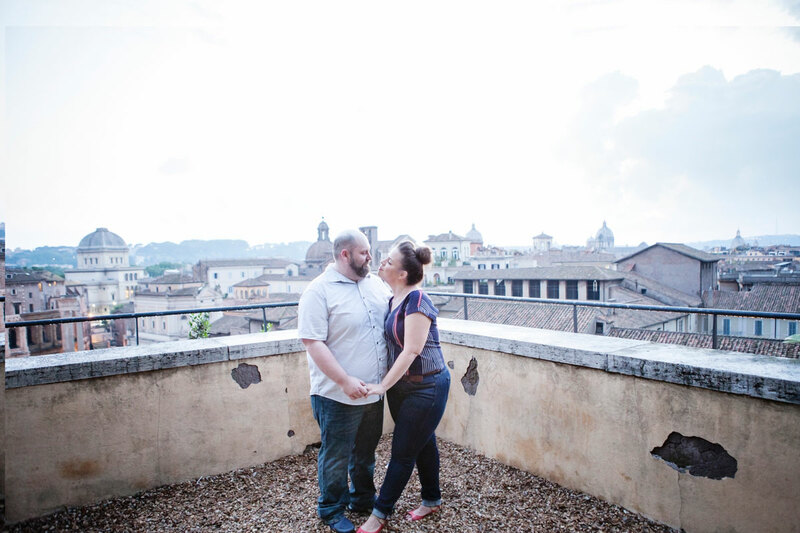 We met in Front of Castel Sant’Angelo, the beautiful Papal fortress built on top of the ruins of 2000 year-old mausoleum of Emperor Hadrian. 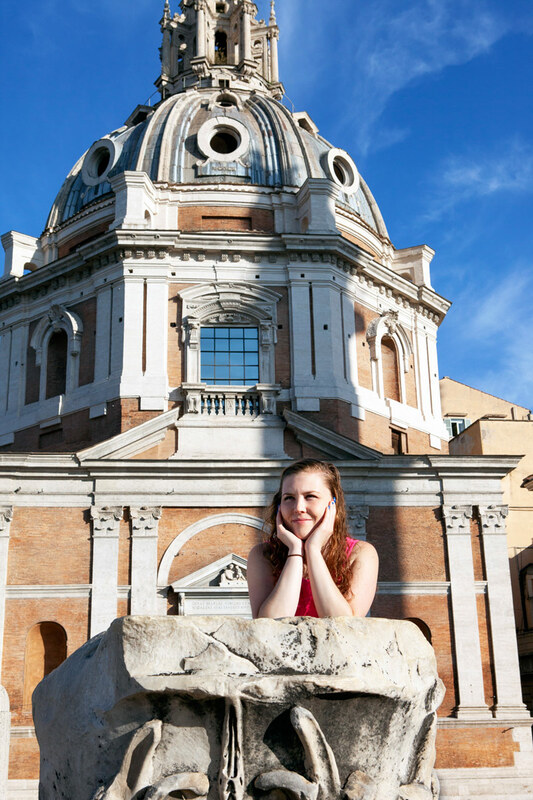 We then crossed Bernini’s dramatic and baroque Bridge of Angels with a great view over the tallest dome in the world, Michelangelo’s Cupola over St. Peter’s Basilica. 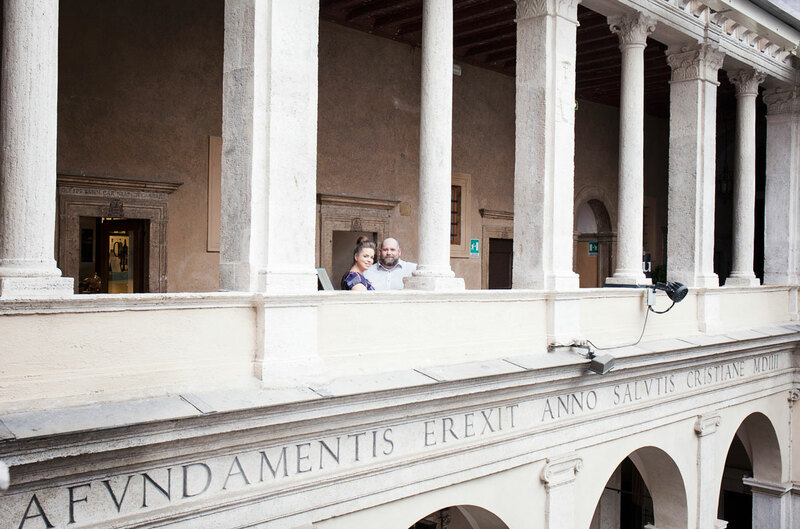 From there we walked through winding medieval cobblestone alleys to one of our favourite hidden gems of the Eternal City: Bramante’s Cloister. 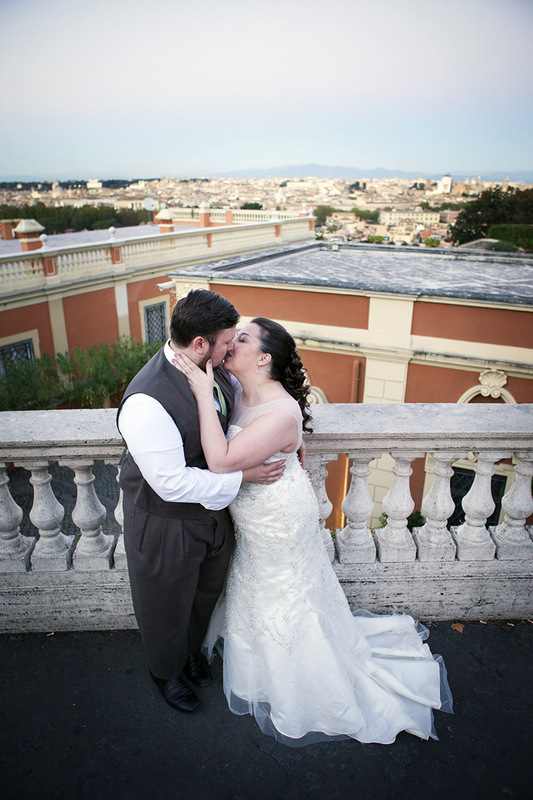 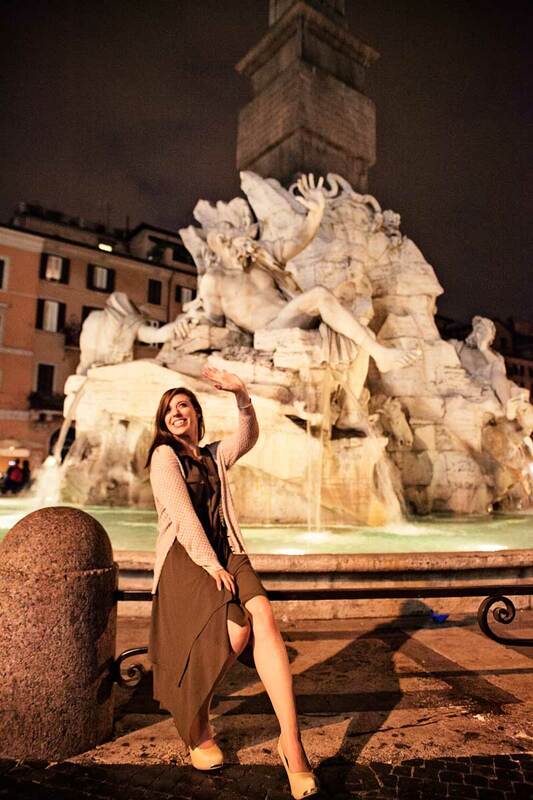 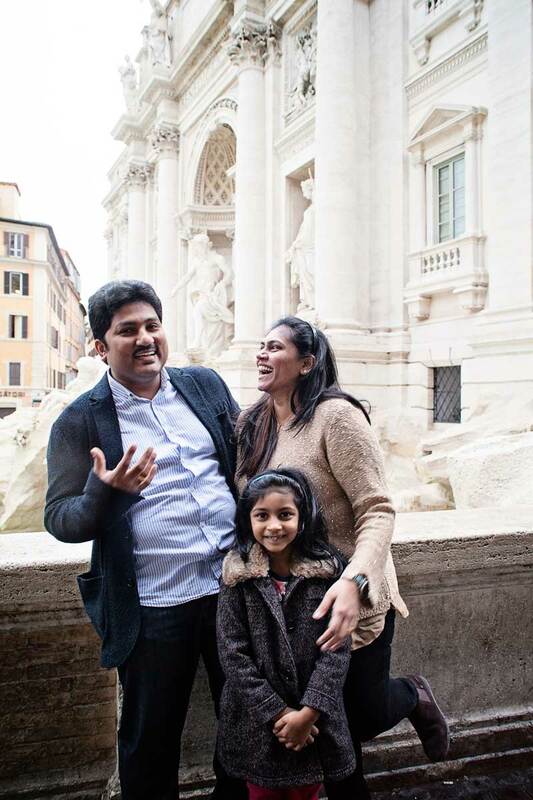 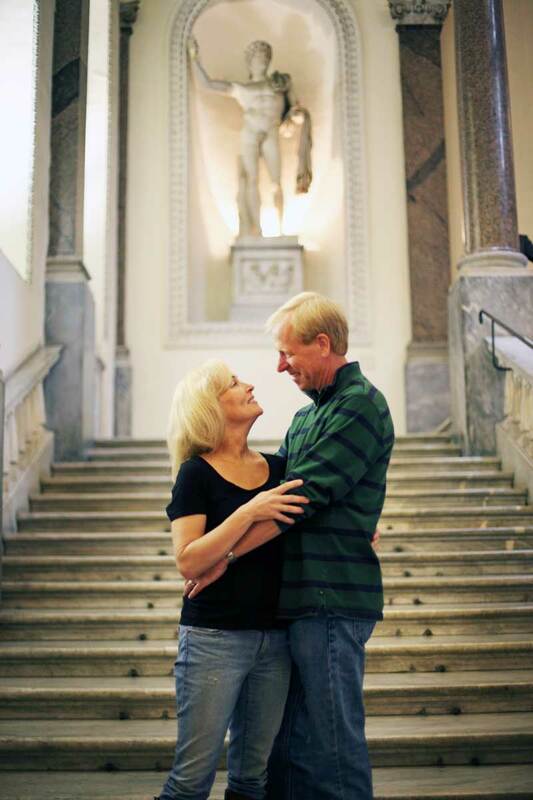 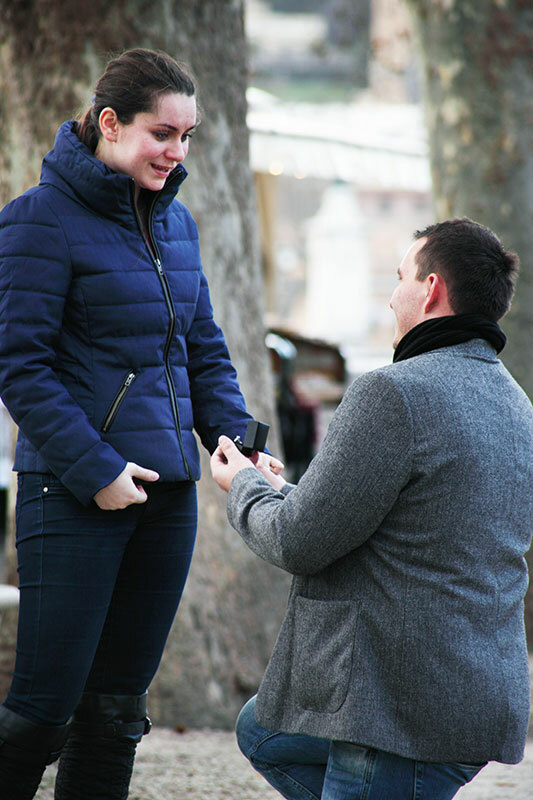 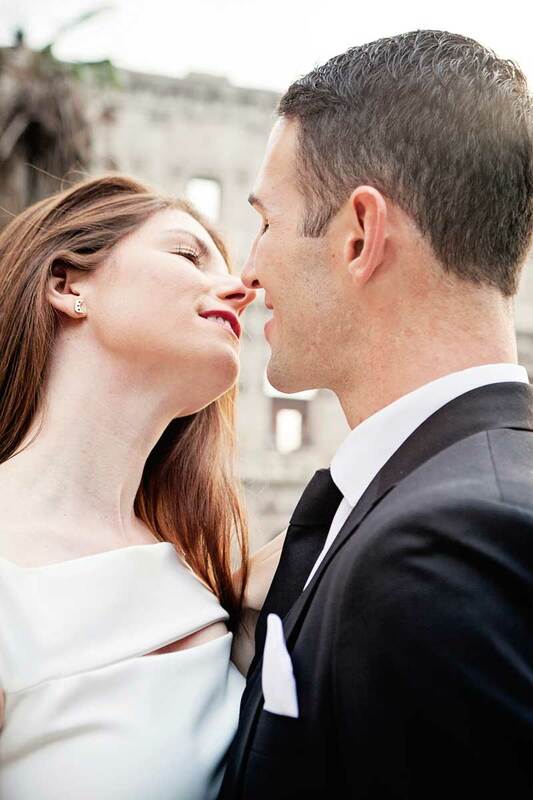 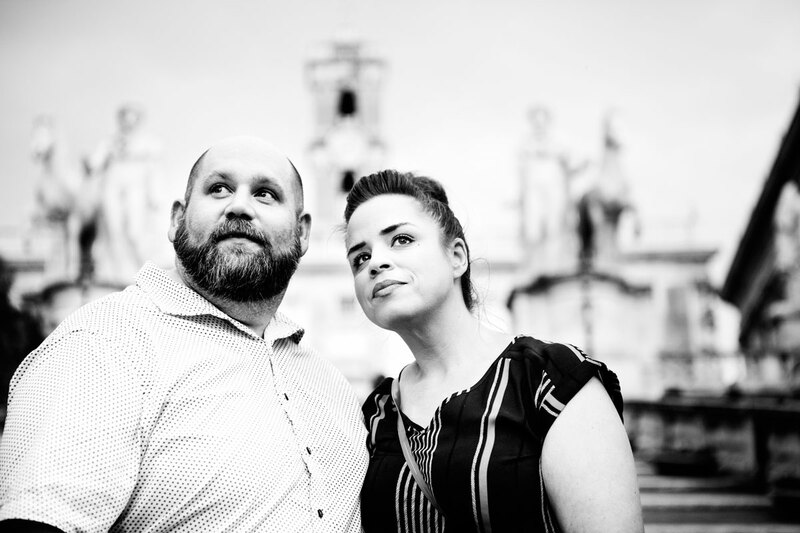 Piazza Navona then became a real theatrical backdrop to this newlyweds’ sweetness. 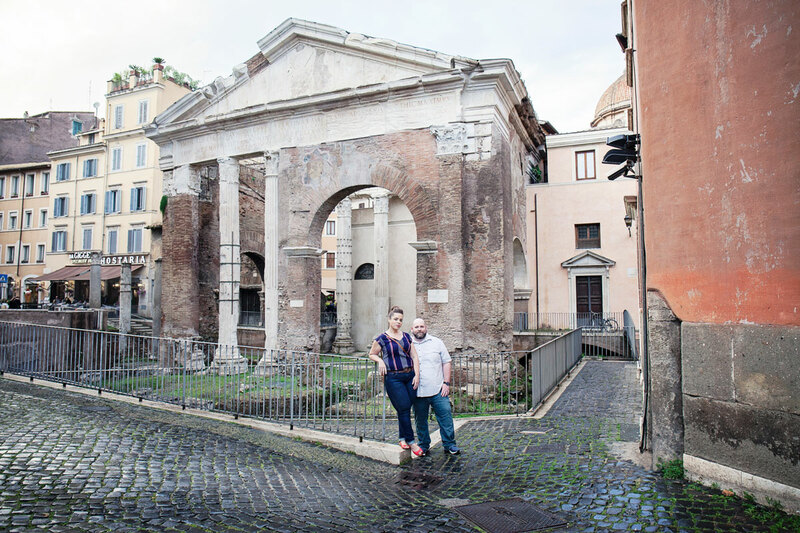 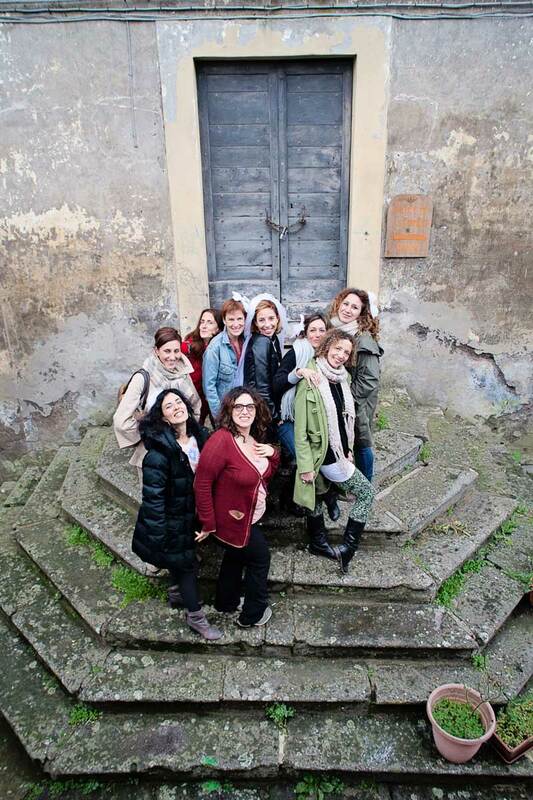 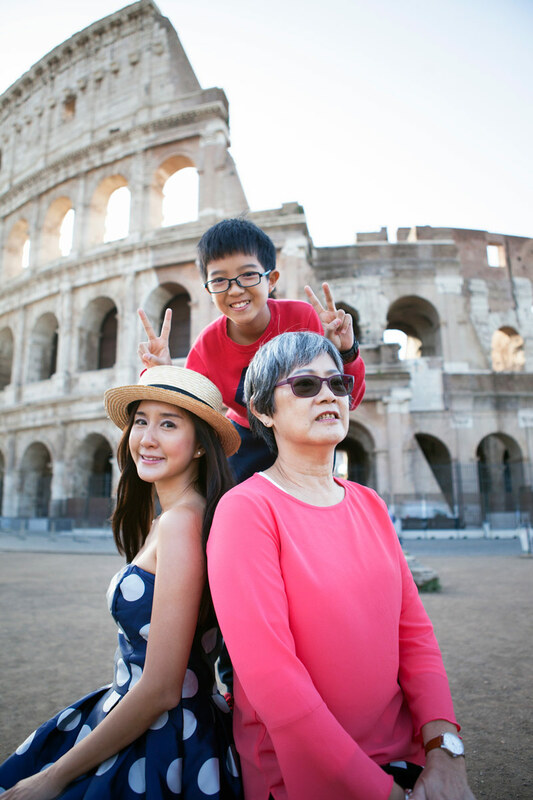 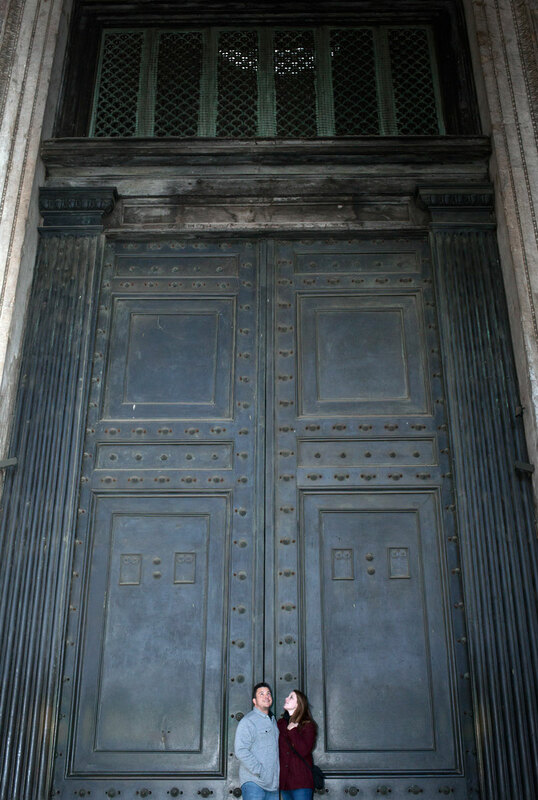 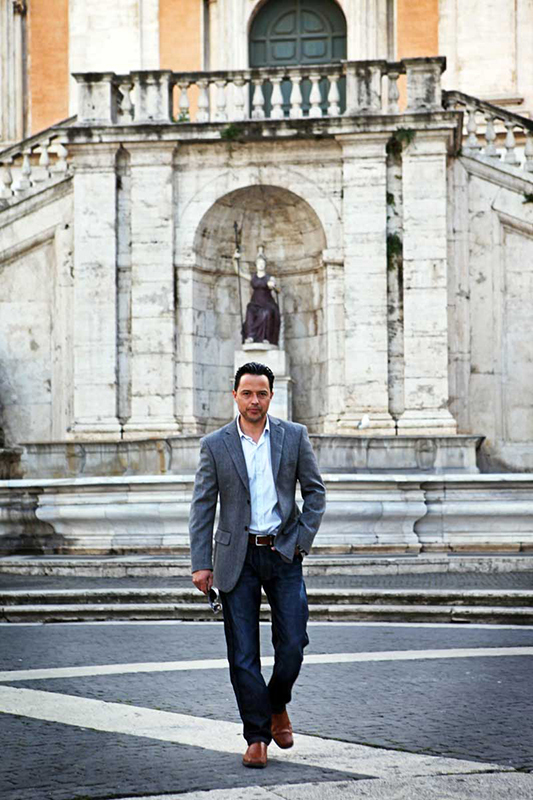 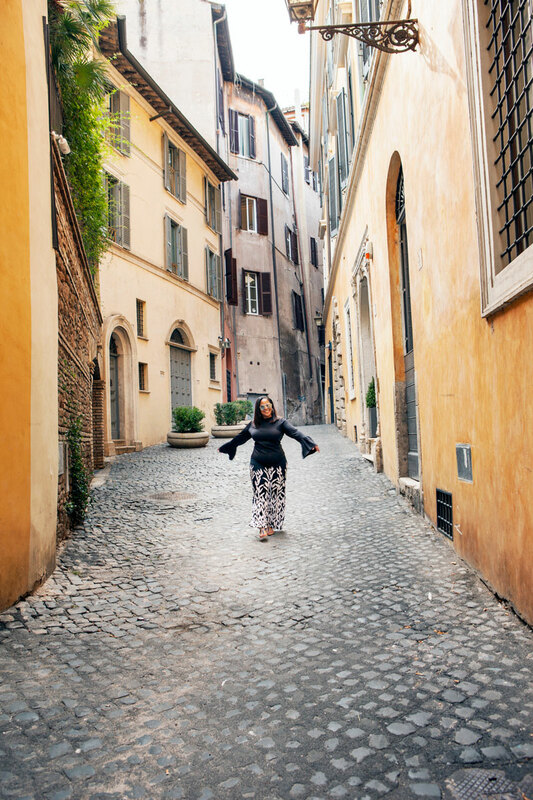 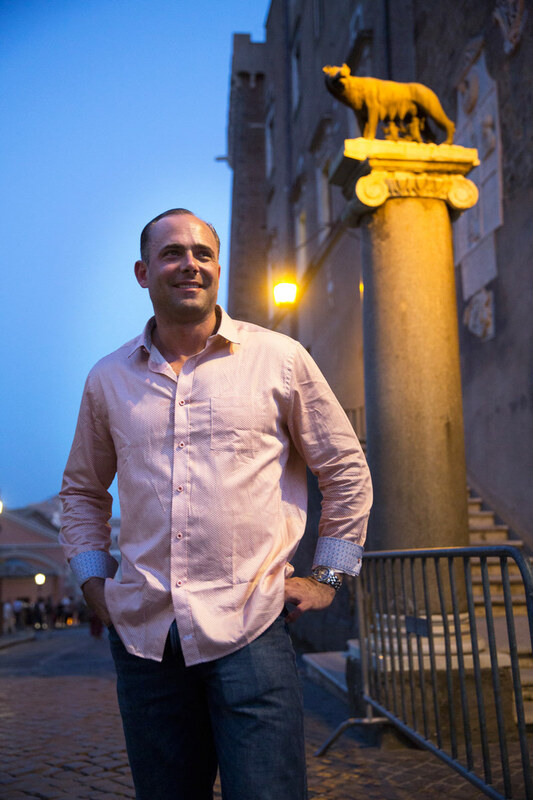 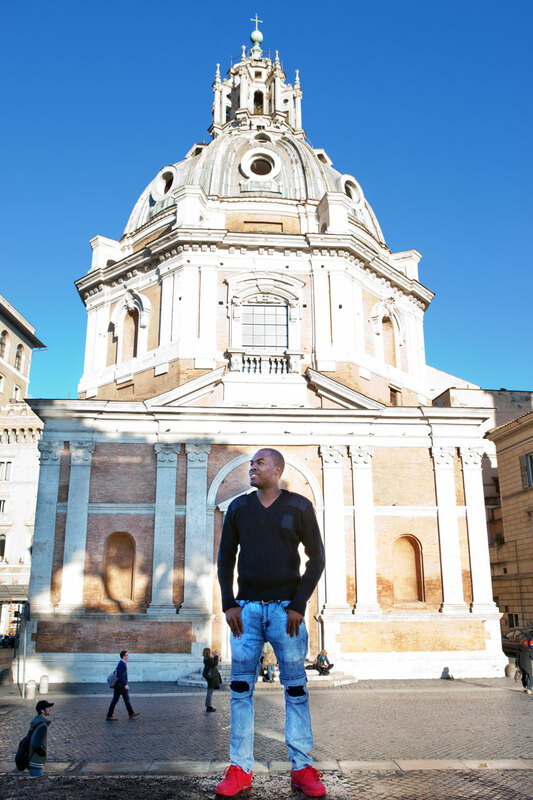 We walked to the former Jewish Ghetto, one of Rome’s most picturesque neighborhoods and we saw the beautiful ruins of the Porticus of Octavia and then more medieval alleys until we climbed to another Roman Marvel: The Capitoline hill. 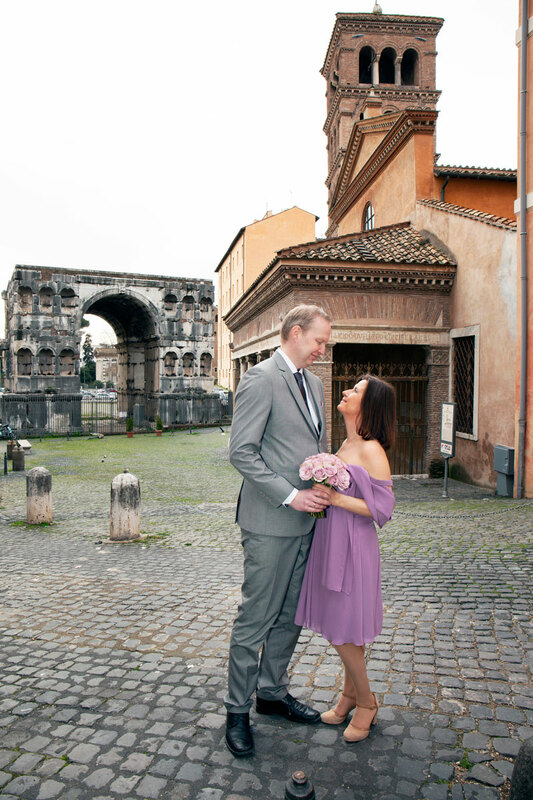 By now it was already dark, we took the last photographs by the Iconic roman She-wolf milking Romulus and Remus and then walked down the Capitoline to do the last photograph by the Arch of Septimius Severus and the Roman Forum in all of its night-time glory. 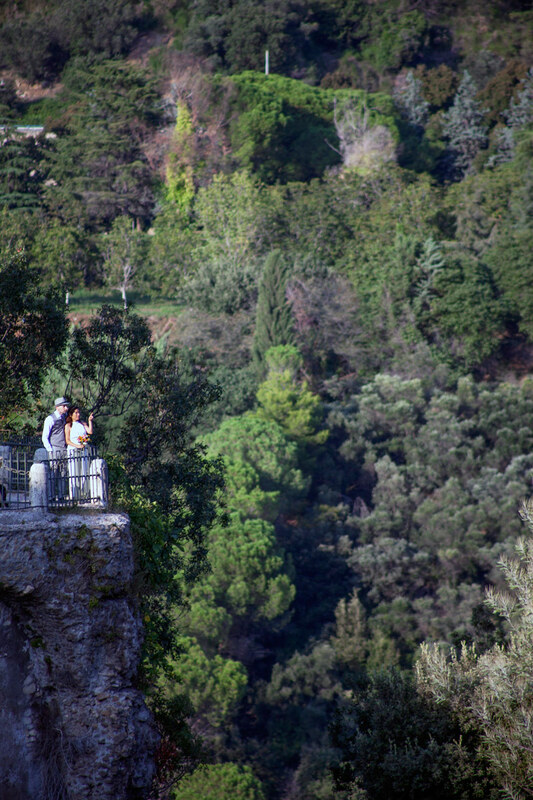 Our walk was long and beautiful and romantic. 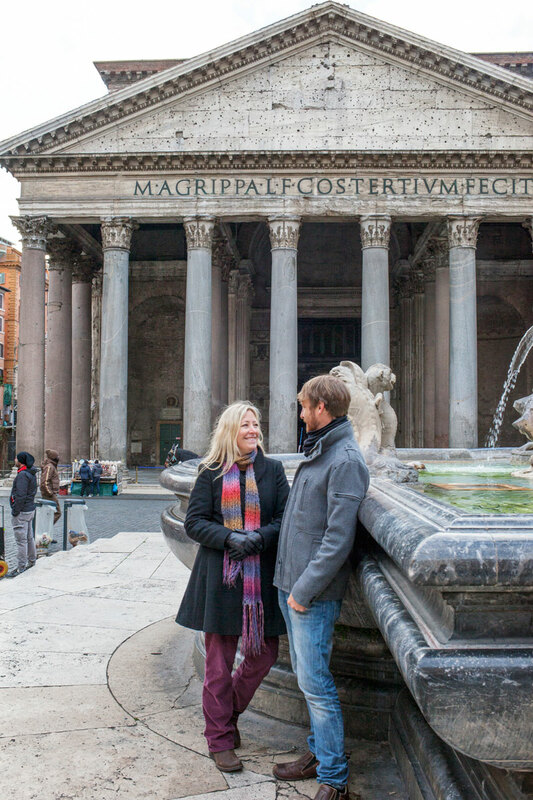 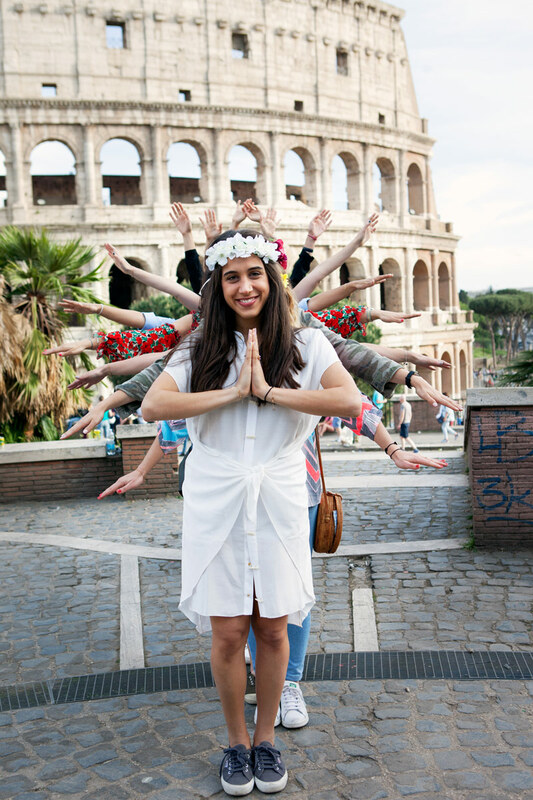 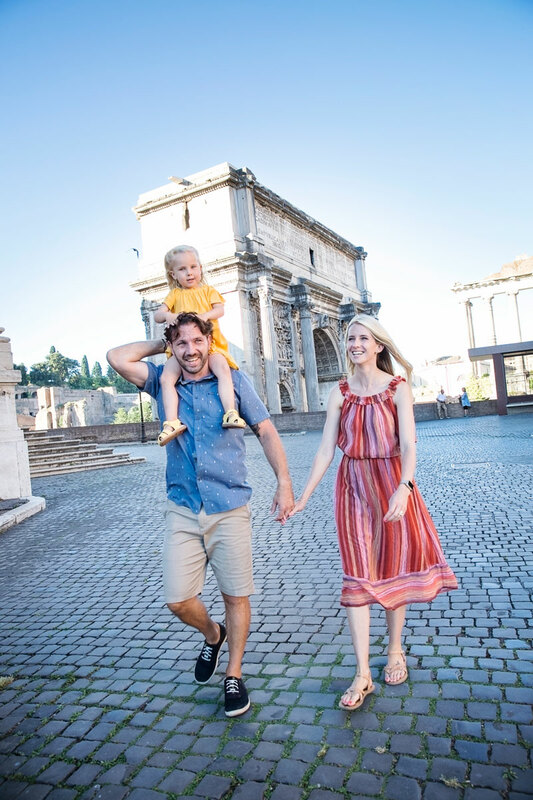 We showed Alicia and Joshua why the Rome is known as the Eternal City and we hope we have made their memories eternal too!